As the name implies, family dentistry is the term used to describe a family dentist practice that addresses the dental needs of your entire family. Not all family dentist practices in the Eagle and Meridian ID area are equal though. From toddler to sage, family dentist Dr. Blaisdell meets the dental needs of your family and truly has their best interests at heart. 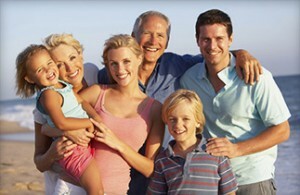 PREVENTION | A great family dentist focuses on the oral health of the whole family and preventing major dental issues. Family dentist Dr. Blaisdell near Eagle ID invests in the equipment and training to make sure your whole household will have their family dentistry needs met. Beyond the equipment and training though is our warm and caring chairside manner that sets everyone at ease and helps make your visits to our family dentistry practice enjoyable. Cleanings: Cleanings prevent plaque and tartar build up and help prevent more serious dental issues. Sealants: A sealant is a thin resin place on a tooth surface to prevent cavities. This is a GREAT preventative measure to save on dental costs down the road. Cavity Detection: Cavities can cause serious problems. It’s not fun to wake up with a serious toothache because a cavity worked its way to you tooth root. Filling a cavity is more pleasant and less expensive than a root canal. Education: We can help educate your little ones on the importance of good oral hygiene and how to properly care for their teeth. 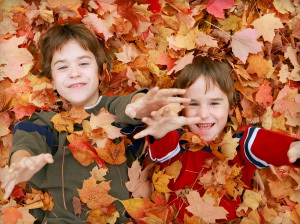 As well as services for your young ones, family dentist Dr. Blaisdell offers services for adults and the elderly as well. DENTAL CROWNS | A dental crown is an artificial tooth cap that replaces a cracked, broken or misshapen natural tooth crown. offers beautifully natural looking and functioning dental crowns. DENTURES | Dentures are a tooth replacement option for your whole smile. Wear and tear can bring teeth to a point where they are unattractive, non-functioning and a continuous maintenance hassle. Dentures solve those issues beautifully. We offer all the services you would expect from your family dentistry practice serving the Boise, Meridian and Eagle ID area. Please peruse our other pages to learn more about our other services. Then call and schedule a visit if you’s like. We’d love to meet you and your family!